When a pedestrian and a motorized vehicle collide, there is always one clear winner: the vehicle. People on foot are no match against cars, trucks, motorcycles, or buses – even when the vehicle is traveling at very slow speeds. What might have been a minor accident for two vehicles can result in catastrophic injuries or even death when a pedestrian is involved. At Van Sant Law, we understand how a pedestrian accident can turn your life upside down, whether you have been injured or whether a loved one has been seriously injured or killed. It is important to learn how the accident occurred and who was at fault if you are to collect the compensation that you deserve. We are here to help you answer these questions and get the support that you need. Before founding his own law firm, David Van Sant spent years defending many of the nation’s largest employers and insurers against personal injury cases of all types. This experience now allows our firm to give clients a level playing field; we have the familiarity, knowledge, and skill to help you get the compensation you deserve. Whether your insurance company is completely denying your claim, underpaying your claim, or delaying your claim, we are here to assist you and partner with you. Fender-benders may sometimes only result in a sore neck or a seatbelt bruise. But when it comes to pedestrian accidents, there are no seatbelts and there are no fenders; there is only metal against skin. 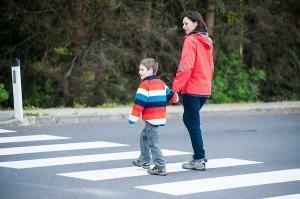 For this reason, pedestrian accidents have much higher fatality rates than motor vehicle accidents alone. Bills for hospitalization and further medical treatments can pile up quickly, especially since many people lose wages while recovering. If your accident was not your fault, these bills are not your responsibility! Speak with an experienced Atlanta pedestrian attorney to find out who should be paying your accident-related expenses. Many pedestrian victims never contact an attorney because they worry that they were at fault for their accident – even though they have never looked into the matter, or even though they have a suspicion that something wasn’t right. In reality, drivers are the cause of a significant number of these tragic collisions. The driver did not obey traffic laws (including right-of-way laws, traffic lights, or crosswalks). The driver did not yield to a pedestrian. The driver was under the influence of drugs or alcohol. The driver was fatigued or asleep at the wheel. The driver simply “didn’t see” the pedestrian. The road or intersection was poorly designed or poorly signed. The city or state did not properly care for the roadway. Recovering from a pedestrian accident – or caring for an injury victim – is extremely stressful and time-consuming. Many people think that they simply don’t have the time or energy to seek legal help, while others just want to put the accident behind them. We want you to know that if you give us a call, we can take this burden off your back and make sure that your case sees justice. If you don’t have a case, we will tell you honestly. If we think you do, we will work tirelessly at your side to get you what you need and deserve. Ready to find out more about your case? Call us today at (404) 991-5950 or fill out our contact form.